Tahoe Truckee Outdoor: Truckee trail planning workshop February 26, 2014. 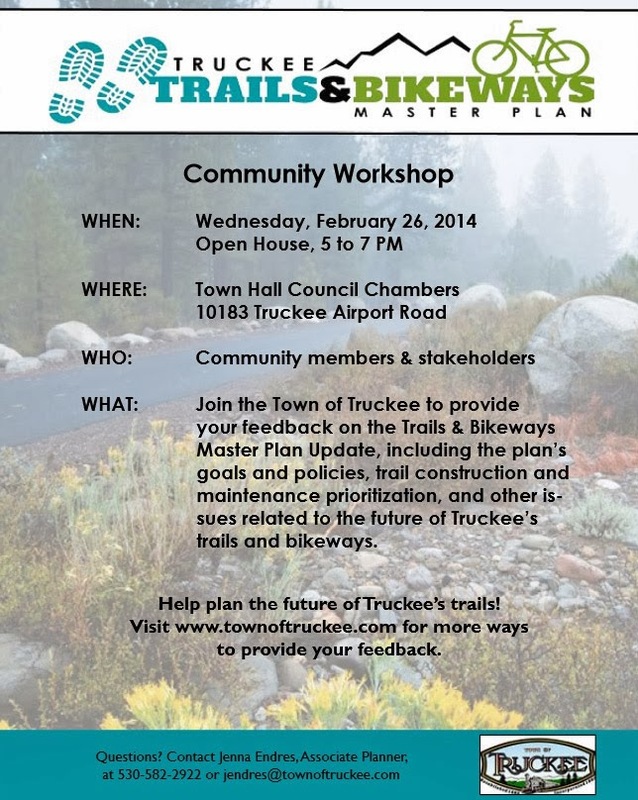 Truckee trail planning workshop February 26, 2014. Attend the "Open House" Town Hall meeting on Wednesday night to help shape the future of Truckee's bike trails. Your feedback will help shape the Bikeway Master Plan Update.